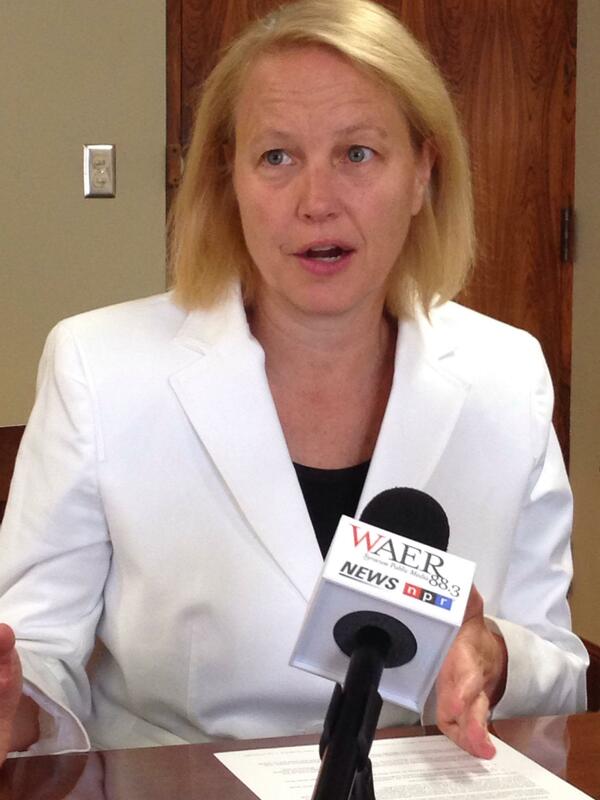 County Executive Joanie Mahoney in June. 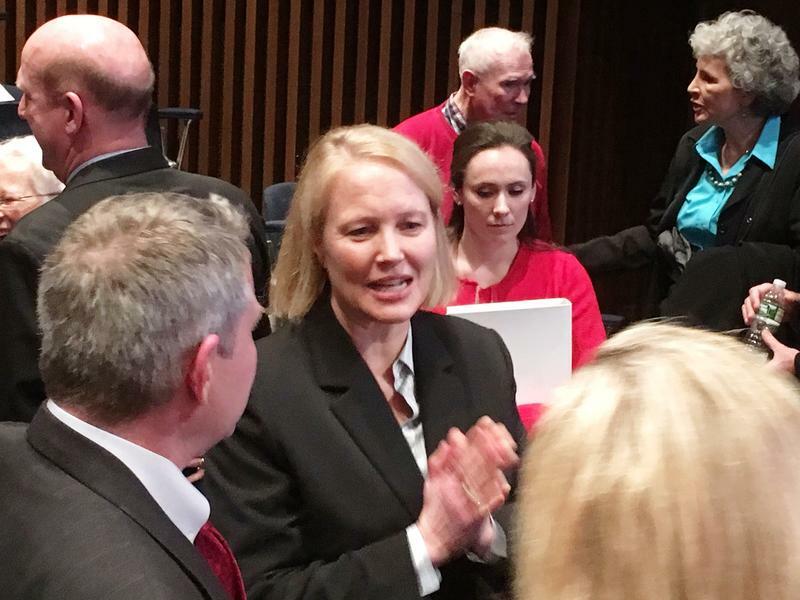 Onondaga County Executive Joanie Mahoney is optimistic that the ideas in her shared services proposal will save enough money to earn matching dollars from the state. The roughly 100 ideas aim to streamline and reduce the cost of local government. Mahoney released her plan last week, which is a combination of proposals from her office, and others from the consensus commission and municipalities. But many of the ideas in the plan don’t yet list the potential savings, which could make them a harder sell for residents. Mahoney explains it can be hard to calculate until they know how many municipalities are willing to go along. Mahoney says this model should allow local governments to reap the larger benefits of sharing services while, at the same time, protecting the identities of towns and villages. She’s heard that loud and clear from residents, and through conversations with leaders over the past several weeks. Mahoney says it’s a giant step forward. Whether that’s toward a metropolitan government, Mahoney isn’t sure. She says her goal under this state mandated effort is success…not to make political statements or further any agenda. "To make it successful, we only put things in the plan that people were willing to do. What Consensus did was give us a roadmap for what they think the best goal is for the community. My goal was to successfully move forward." The public had their first chance to offer feedback Thursday night. Other hearings will be held later this month and into September. The shared services panel can revise the proposal based on input from residents and county lawmakers. It must be approved by September 15th. The report can be seen here. The website also includes an e-mail address to leave comments. 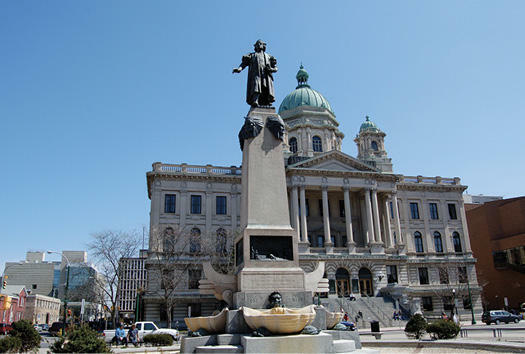 Onondaga County residents will have a chance Thursday to offer their input on County Executive Joanie Mahoney’s shared government services plan. The public hearing follows a series of meetings Mahoney held with local government and school district officials. 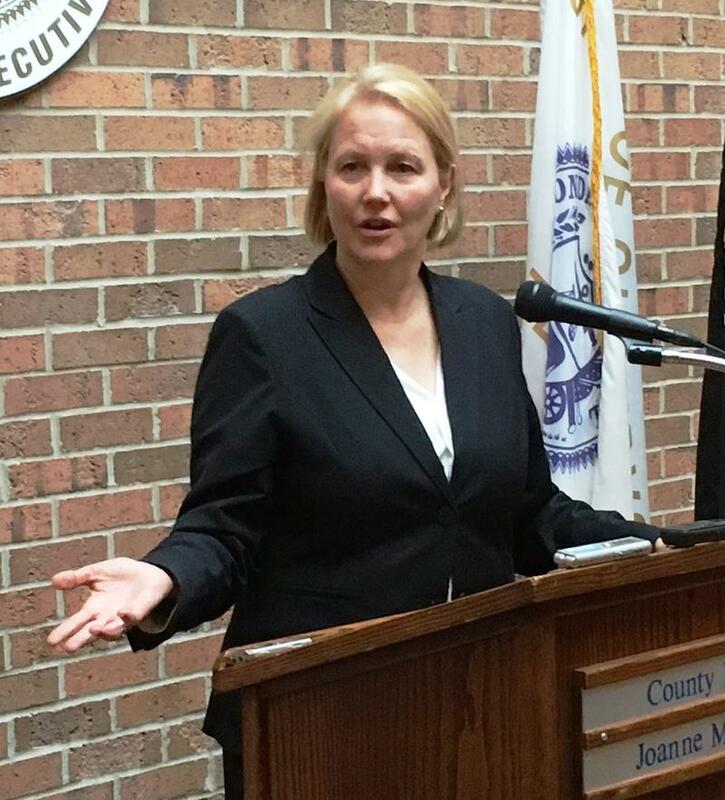 Onondaga County Executive Joanie Mahoney used the occasion of her 10th state of the county address Tuesday evening to calm some of what she called the “fearmongering” over the Consensus Commission’s recommendations to modernize local government. "There is not a single thing written in the Consensus report that will spell disaster for anyone." Such has been the rhetoric from the mayor to the county legislature over the main recommendation to combine Syracuse and Onondaga County. Onondaga County Executive Joanie Mahoney says the swift opposition from some officials about the recommendation of a metropolitan government amounts to nothing more than scare tactics and fear mongering. We caught up with Mahoney to round out our series on the potential impact of the Consensus Commission’s final report. Mahoney says she’s always been a proponent of more efficient government, and has continued the county’s track record of combining city and county departments.